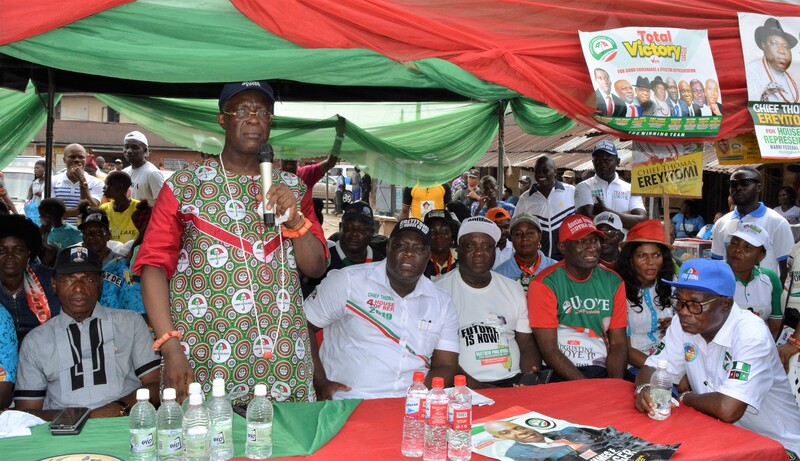 The Senior Special Assistant to Delta State Governor, Dr. Ifeanyi Okowa on Health Matters, Chief Joseph Otumara has urged people of Warri Federal Constituency to vote Senator James Manager, Chief Thomas Ereyitomi for Warri Federal Constituency Seat, Dr. Augustine Uroye for Warri South Constituency 1 Seat in Delta State House of Assembly, Mr. Matthew Poko Opuoru for Warri South Constituency 2, Dr. Ifeanyi Okowa for governor and Alhaji Atiku Abubakar as President. 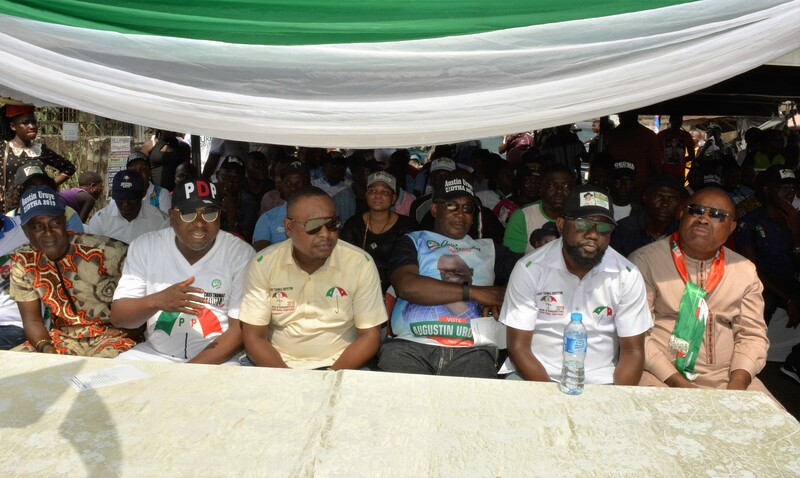 Dr. Otumara made the appeal at Bowen Ward, one of the most populated wards in Warri South Local Government Area while addressing PDP supporters, just as he described Chief Ereyitomi “as a mature man whose status is like that of Chief Okotie-Eboh”. 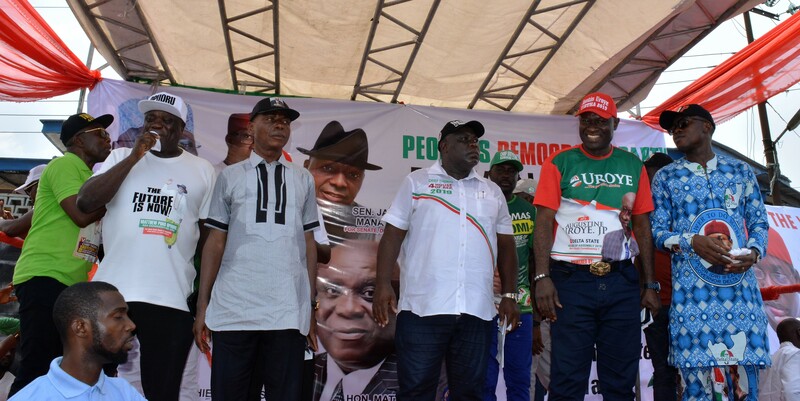 Chief Ereyitomi, Dr. Uroye and Mr. Opuoru while addressing PDP supporters at Bowen and Okere Wards, assured their constituents of attracting meaningful projects as well as women and youth empowerment if they emerge victorious at the poll. They enjoined PDP faithful as well as eligible voters who have not collected their PVC to go and collect, so as “to vote PDP all the way”.